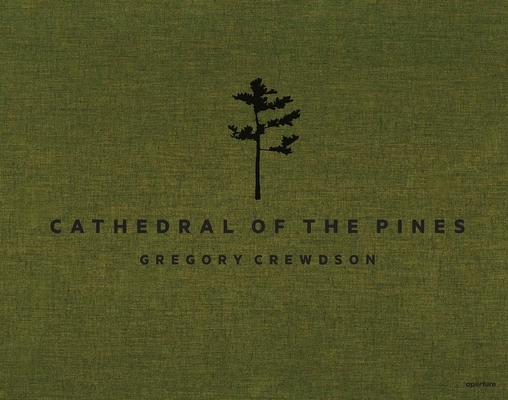 Cathedral of the Pines presents Gregory Crewdson's first new body of work in over five years. The series marks a return to Crewdson's classic style of storytelling via the single image, using light and color to create newly intimate, psychologically charged imagery. It also marks a time of transition for the artist, including a retreat from New York to a remote home and studio in western Massachusetts--a period of time during which Crewdson chose to remain socially withdrawn, instead committing to daily, long-distance, open-water swims and cross-country skiing on wooded paths. Cathedral of the Pines is named after one of these trails, deep in the forests of Becket, Massachusetts, the site where he found the inspiration to make these new pictures. It was there that he felt darkness lift, experienced a reconnection with his artistic process, and moved into a period of renewal and intense creative productivity. The photographs are accompanied by an essay by Alexander Nemerov, who addresses the work in relation to the American past, focusing in particular on the way the images draw space and time down to ceremonial points, in which "all that ever happened in these places seems crystallized in his tableaux, as if the quiet melancholy of Crewdson's scenes gathered the unruly sorrows and other little-guessed feelings of people long gone who once stood on those spots." Gregory Crewdson (born 1962) is a graduate of SUNY Purchase and the Yale School of Art, where he is now Director of Graduate Studies in Photography. His series Beneath the Roses is the subject of the 2012 documentary Gregory Crewdson: Brief Encounters. His work has been exhibited widely in the US and Europe, including a survey that toured throughout Europe from 2001 to 2008. He is represented by Gagosian Gallery, New York.